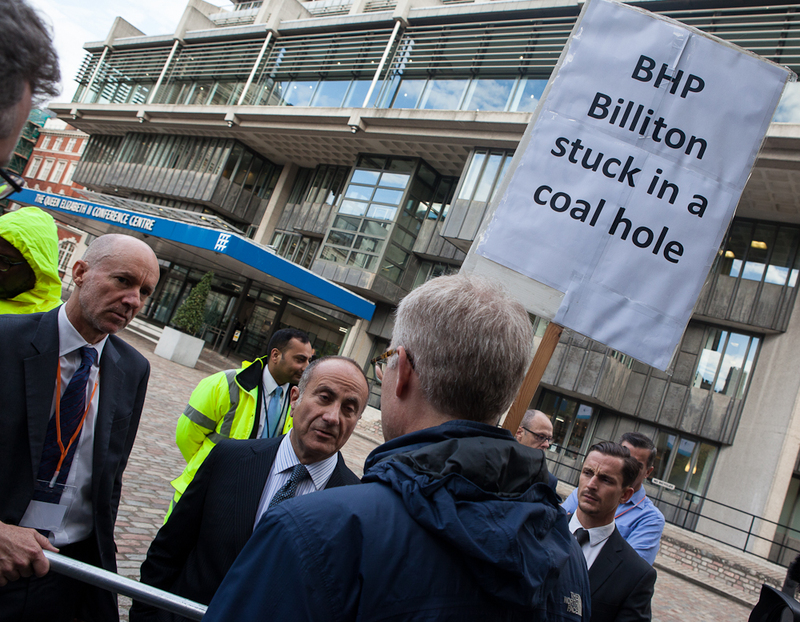 There was a lively demo outside yesterday’s BHP Billiton AGM in London to support our friends from Colombia and Indonesia who attended the AGM to confront the company with the impacts of its operations in their countries. 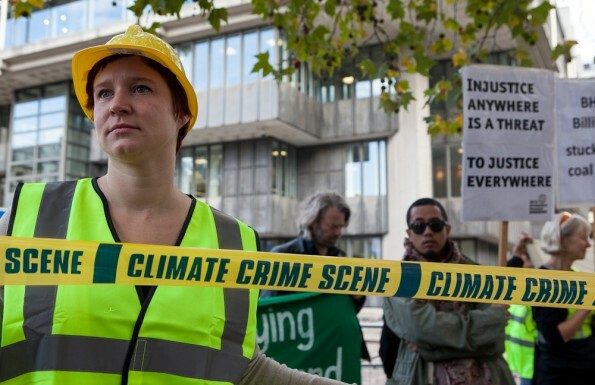 We spoke to company management before the meeting but still decided to declare the venue a Climate Crime Scene. We reported from the AGM on twitter and there will be a report in due course. After the AGM, our Colombian and Indonesian friends went to University College London to hand in letters to the Provost and Council asking them to break the funding relationship they have with BHP Billiton because of the company’s impacts on their communities. 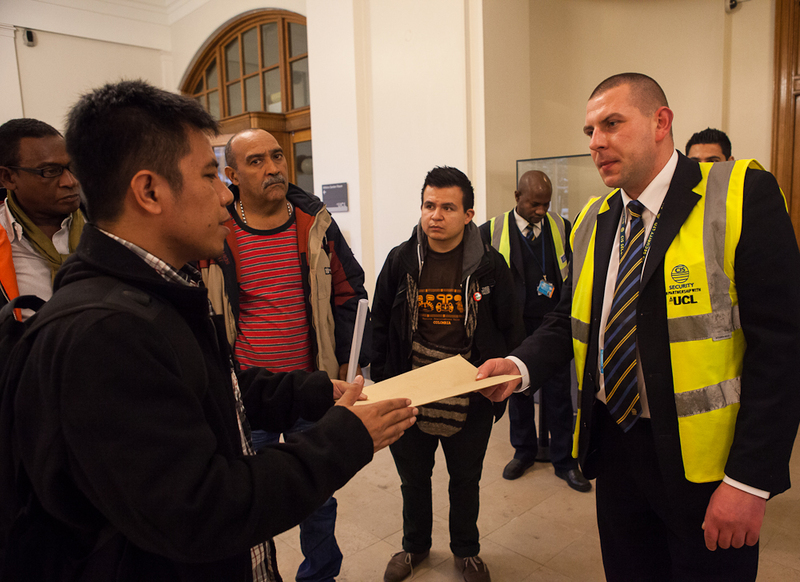 The Provost and Council refused to come and meet them or allow them to go to the Provost’s office to hand in their letters, so they handed in the letters to security personnel at the main door. 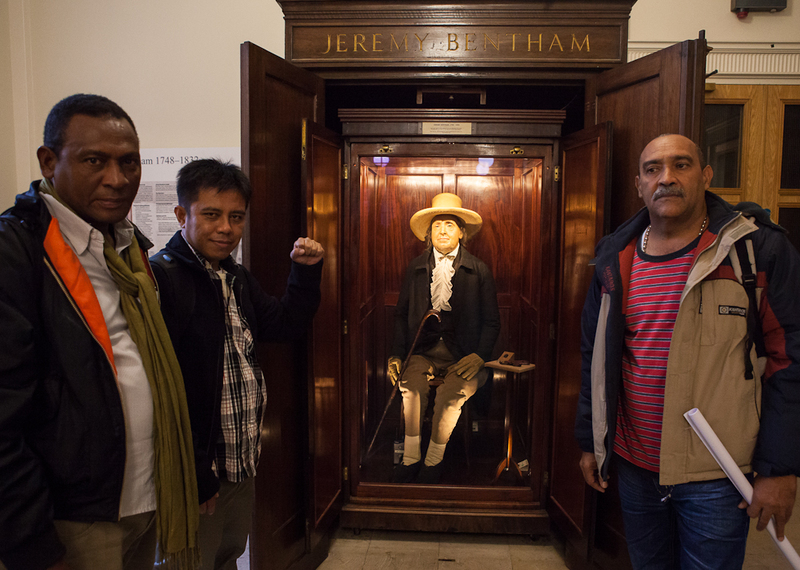 Then they greeted Jeremy Bentham, Founder of UCL! 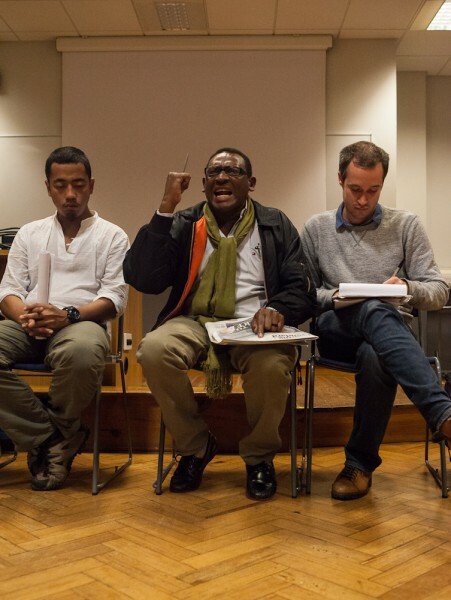 There was to be a public meeting at UCL in the evening, but with two days to go we were told that our speakers would not be allowed to speak on UCL property. The room had been booked weeks in advance so we were shocked to be told with so little notice that we would not be welcome. SOAS came up trumps and provided us with a venue instead. Rogelio spoke passionately about the destruction caused by the Cerrejon coal mine in Colombia, a mine part-owned by BHP Billiton. Pius spoke about the company’s Indomet project. 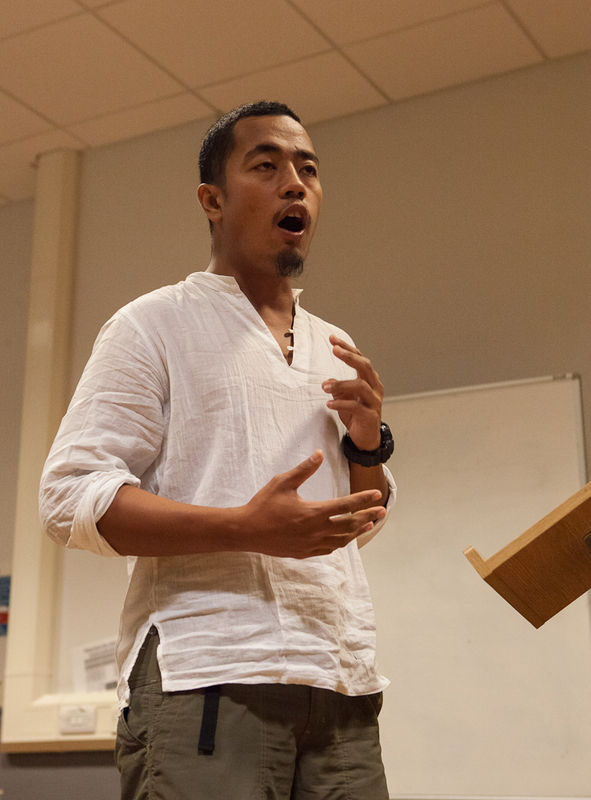 And our friend Daryll from the Philippines spoke about Glencore‘s Tampakan copper-gold project in the Philippines and the use of coal to power the project. 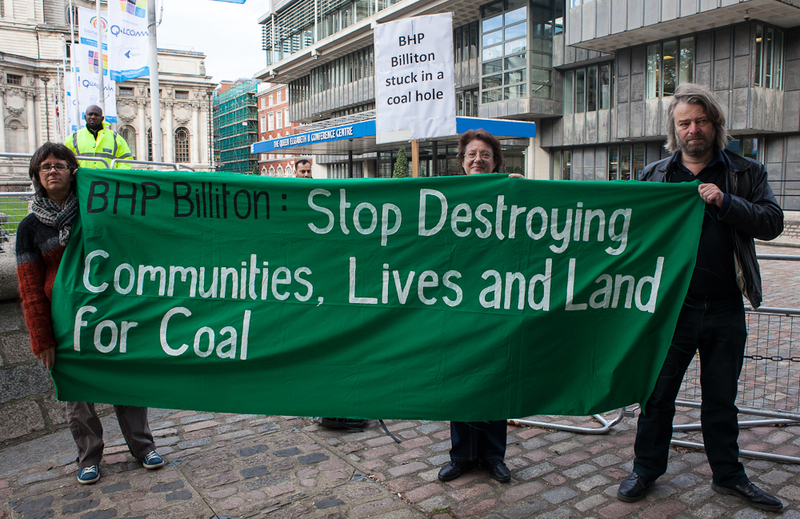 Now Daryll is off on tour with UNISON while Rogelio, Francisco and Pius are off on the Dirty Coal Tour.